INTERCOIFFURE MONDIAL “Imagine 2018-2019” saw some very unique hair styling techniques as a part of the project; where abstract art met hair styling to create visual masterpieces. Moreover, many jewellery pieces from Lada Legina’s pop art collection were incorporated into the Photoshoot. Intercoiffure Mondial is a highly reputed and internationally recognized brand that specializes in hairdressing and hairstyling. Boasting of 55 centres all over the world with its main headquarters in Paris, Intercoiffure Mondial has carved its path to the summit of Hair-fashion to justifiably be given the respect worthy of deities. Its artistically complex hair styling aesthetics and ingenious creative vision makes replicating their ways difficult- thus making Intercoiffure Mondial world leaders of their craft. Each year, it organizes a Photoshoot project that involves a team of top talent to create hairstyle trends of the future. The Photoshoot project in 2018-2019 ran with the theme of “Imagine” wherein participants were to tap into their imagination to create avant garde hairstyles that could become the dominant trend in runways and fashion magazines in the upcoming times. “Imagine 2018-2019” saw some very unique hair styling techniques as a part of the project; where abstract art met hair styling to create visual masterpieces. 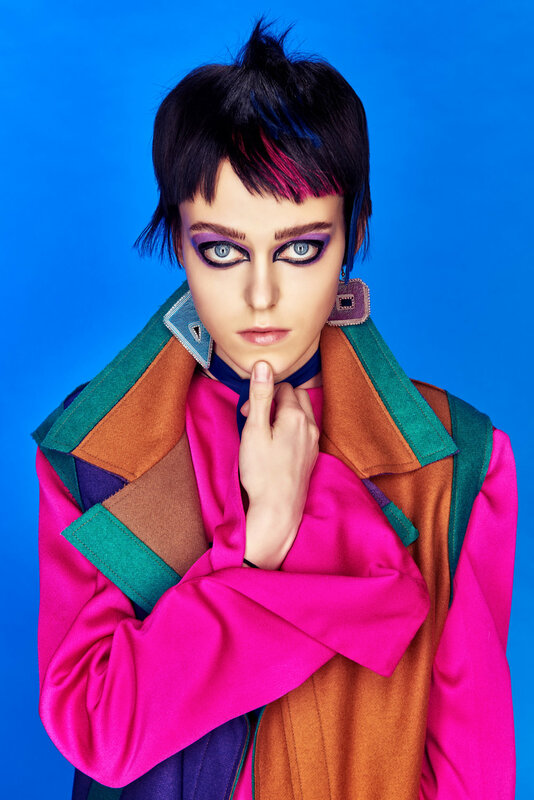 Moreover, many jewellery pieces from Lada Legina’s pop art collection were incorporated into the Photoshoot. A leader of fashion forward jewellery designs herself, Lada Legina’s dramatic pop art collection earrings ended up being accessories of choice for “Imagine 2018-2019” Photoshoot, adding a new layer of design complexity to the entire theme.